Vegetable salads are always a great way to stay healthy and fit. They are refreshing and just fills you up with energy and nutrients. There are a lot of delicious recipes you can find online. The ingredients can be easy to find or grow yourself. ​Making the salad can also be very simple to do. A cucumber radish salad can offer you so many health benefits. Just the radish alone can do so much good to your body. With all other healthy ingredients, you are sure to have a bowl of life-changing goodness. Don't worry if you're not vegan, you can still add meat. Know more about the crunchy cucumber and radish salad today and learn more why you need to have more of the healthy food. The health benefits of the food is why you need to make a cucumber radish salad. More than that, you also get introduced to cooking or at least to making salads and its dressing. You will learn how to play with different ingredients to go along with the radishes. You can make use of creamy yogurt, cucumbers, tomato, dill, basil, lemon, oil, vinegar, red onion and even chicken. In time, you can then make your own perfect radish and cucumber salad recipe. Also, in time, you will be a more productive and healthy person. Vegetable salads can help you become more focused and have more energy. You'll be surprised with the health benefits of eating cucumber radish salad. The radish alone already does so much. It helps kidney and urinary disorders. It cures the symptoms of piles and also helps with leucoderma. It helps combat certain cancers like colon, oral and stomach cancer. It's also low in calories helping you to trim down some weight. It also helps cardiovascular health. The cucumber will help you keep hydrated, flush out toxins, stabilize blood pressure and there's just so much more. There should be no stopping you from creating the dish as it is not only healthy but it also has very good flavor. There are other ingredients you can add to your cucumber and radish salad to add flavor, crunch and crisp. These are sprouts and micro greens. They also do a great job of nourishing the body. Indiana Wheatgrass is where you can purchase fresh organic micro greens. Our service is fast and you can be rest assured that all your orders will come fresh from our greenhouse. They are also great to make a healthy delicious juice out of with. 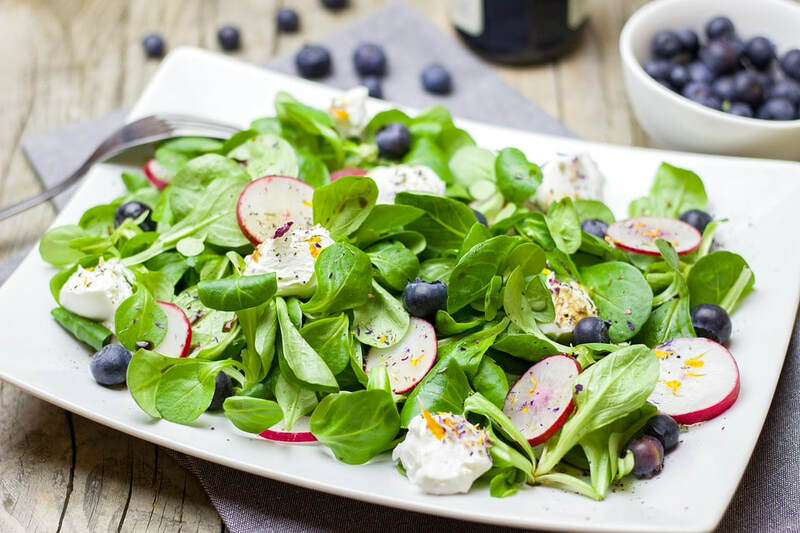 Be it summer, spring, winter or fall, salads are always great to have. Learn how to make your own cucumber and radish salad today. Search on the internet for your favorite recipe and begin gathering the ingredients. Work in your kitchen and start creating your healthy and tasty salad and vinaigrette or sauce for your cucumber and radish salad. The health benefits of a cucumber radish salad can impact your life positively. For the micro greens, make a purchase today at Indiana Wheatgrass. We have only the best fresh micro greens to help you make the perfect cucumber and radish salad. Bon appetit!